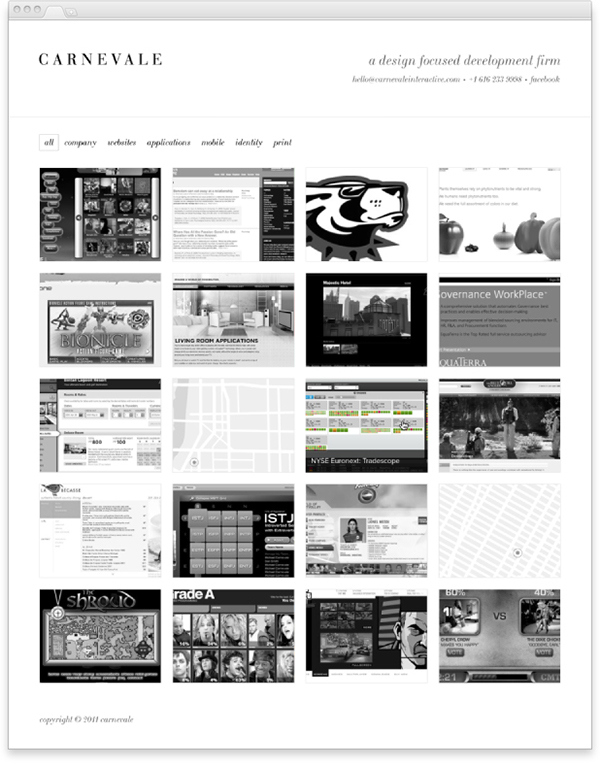 Replace aging flash based website with a new one that represents Carnevale's capabilities and design ethos. I spearheaded an effort at Carnevale to replace the existing website. 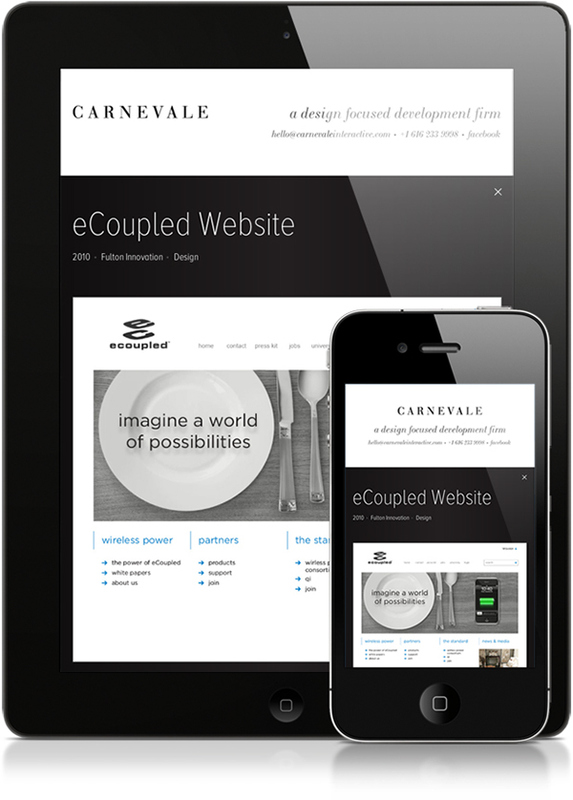 Involving the entire team at Carnevale I researched and coordinated the selection of a responsive Wordpress based theme that would work well for the needs of the new site. Using an existing theme as a starting point I iterated through a few rounds of design incorporating feedback and details from fellow designers and the rest of the team. I also developed the front-end of the website which mainly consisted of CSS styling and also worked with James Andreas, a developer at Carnevale, for Wordpress functionality. 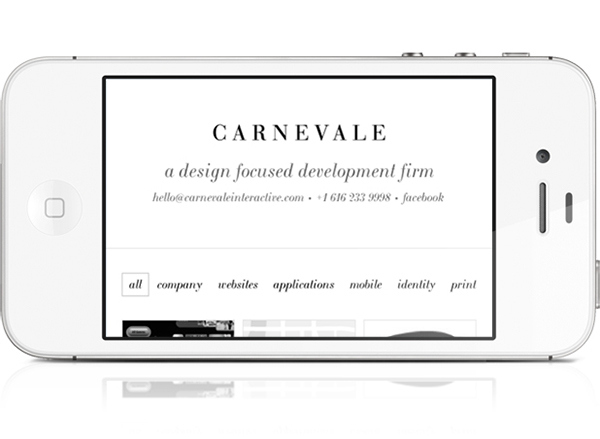 A responsive Wordpress based website that represents Carnevale, a design-focused development agency.